Converse All Stars have been around since the 1920's and the iconic silhouette is instantly recognisable, from the rubber toecap to the ankle patch logo. The sneaker that started it all is draped in cultural significance. Now it undergoes its most drastic change ever, in the form of the Converse All Star Modern. Inspired by the original model, the Converse All Star Modern has a more streamlined and updated design, and seeing as change can be a difficult transitional period, Converse will also be dropping a limited collection. This will come in the form of the Converse All Star Modern HTM collection, designed by the HTM team (Hiroshi Fujiwara, Tinker Hatfield and Mark Parker). The HTM All Star Modern features a more sleek exterior, elevating the original silhouette by going for a more contemporary look. Coming in two colourways—black/white and triple white—the collection features a premium (and flexible) goat leather upper, a debossed All Star ankle patch and the HTM logo on the heel pull tab. This marks the first time the HTM team have worked on a sneaker outside of Nike, and is also exclusively being sold at Nikelab retail spaces. This is huge for a few reasons. When Converse used the Lunarlon technology in the Chuck II, it was the first time Nike and Converse had been publicly linked, and the first time they had shared innovations. 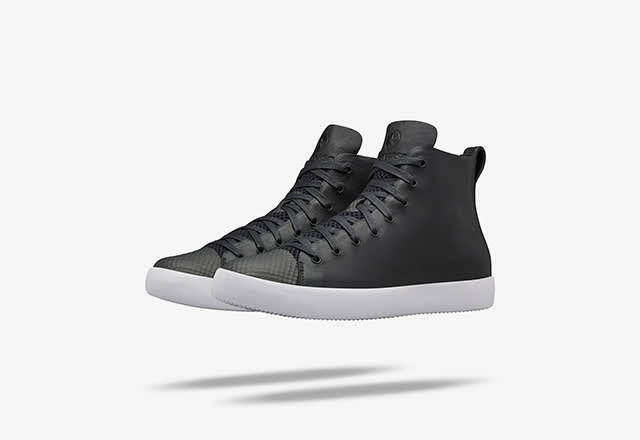 The Modern collection, and specifically the HTM All Star Modern, is another public linking of the two companies, as is the shoes being sold in NikeLab stores. While the sneaker community is firmly sold on Converse's classics like the Chuck '70, this move could affect the way the conversation goes with regards to Converse. They're publicly allying themselves with Nike, the biggest performance brand in the world, and integrating their technology into Converse sneakers. They're also using the infamous HTM partnership, something which could signal them trying to muscle their way back to the table when it comes to creating shoes that 'heads thirst over. As well as the HTM collection, Converse have dropped a general release range in the form of the Hi and low Ox models. Both versions feature the exclusive Nike Hypefuse innovation and circular knit uppers. Other talking points include a full-length moulded Phlyon outsole, a TPU-fused overlaid toecap and a neoprene split tongue and lining. The introduction of the Converse All Star Modern is a determined sign that a new era is being ushered through within the brand’s prestigious history. Only time will tell, but for now, the Converse All Star Modern HTM is out today for £145 and is available exclusively from NikeLab stores worldwide and the webstore. As for the Converse All Star Modern collection, they will be hitting shelves on the June 16 via select retailers and the Converse webstore. For a look at the Converse All Star Modern HTM, scroll down to our gallery.